I am the youngest of eight. My dad died when I was 2 leaving my mother to raise 8 kids on her own. 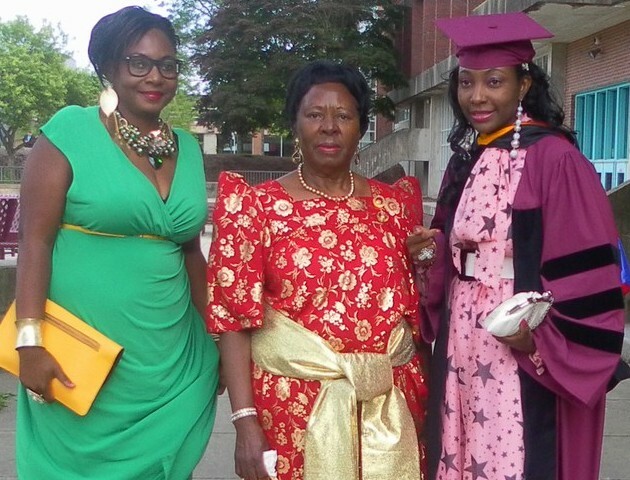 Due to financial issues, I wasn’t able to attend the best schools while in Uganda which prompted my mother to bring me to the US as soon as she possibly could. 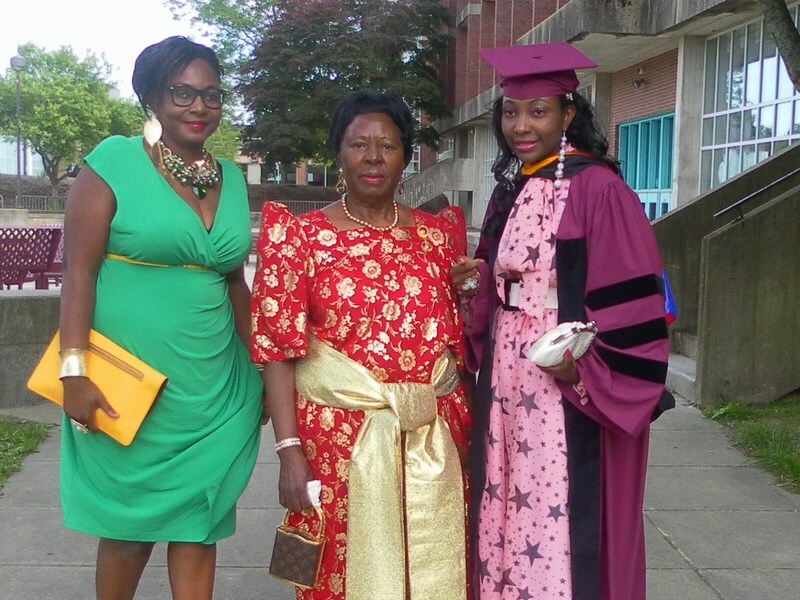 So, right after my senior four exams before the results came back, I was on a flight from Uganda to the United States to study as my mother was in a much better financial situation to ensure that I get the best education. I came here on a student visa, from day one it was clear that I came to the US to go to school. I was actually supposed to go to high school and finish the last year of high school but my mother was advised by a friend that I should try taking the college placement exams and see if I will be able go straight to college. Upon successful completion of the placement exams, I was in college at the age of 17. I worked all through college and knew that I needed to do better and achieve the highest honors. I did just that, I have an Associate’s degree from Mass Bay Community college, a Bachelor’s Degree from Umass Boston, A Master’s Degree from Suffolk University and a Law degree from Mass School of law. I have always wanted to better myself and as long as I can remember I have always wanted to be a Judge and a successful legal carrier will eventually get that goal accomplished. My darling mother Jane Mukasa and dearest sister Alex Kayizzi have influenced me the most throughout my life. Both amazing women have always worked so hard my entire life and have instilled in me the value of hard work. My brother William Kiragga has also been a major influence in my life because he has given up so much to ensure that my dreams come true. Seeking a legal career was extremely challenging. I worked during the day for a Lawyer, went to law school in the evenings and had a nursing assistant job overnight, I did all that throughout my educational experience. Due to all the hard work, I was able to graduate with zero student loan debt. I don’t owe the government a dime in student loans because I worked 3 jobs while in school. I experienced a few obstacles especially with my last name. My name was always hard for everyone to pronounce and it still is that I was more than once encouraged to change it. Also, English being my second language created a certain degree of hardship. Also, since I didn’t attend high school in the United States, some aspects of American law such as Constitutional Law were especially hard. But again, with hard work and determination, all was accomplished. My advice and counsel to someone with same interest is, put God first of course, hard work pays, don’t be tired of working hard and never take a break from school to work until you get enough money to pay for school. Usually when you take a break from school, you end up never returning. And believe in yourself first and then everyone else will believe in you, not the other way around. Way to go Jovia! You make us proud! Congratulations Jovia Nankumba. Wish you all the best in your legal profession. Well done Jovia Nankumba and wish you all the best in the future. Please don’t change your last name it is unique just like the person who holds it. Bravo to you! Not sure if this is the same Nankumba Jovia with whom we once studied at Rubaga Boys primary school. Inspiring story.